Want to Get Job In Defence Companies? Are you only 10th and 12th Pass Candidate ? This eBook contains previous question paper of a defence company written exam with full details of written exam question paper , format of written exam question paper for all companies under ministry of Defence .It will help to crack all defence companies written exam . All the care has been taken to prepare this ebook but if there is any mistake , wrong information is found then author will not be responsible for any kind of loss caused by this ebook . Attention: No refunds will be given under any Circumtances. Shivraj Choudhary B.E. ( ELECTRONICS & TELECOMM. ) , Master of Engg. ( Microwave Engg . ) Post graduate . Assistant Executive Engineer " Indian Telephone Industry ITI Limited ", Govt. Of India . Currently working on BHARATNET , Digital India , GPON Project . 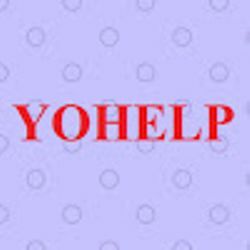 Owner of "YOHELP" You tube Channel .